Manchester: Manchester University Press , 1999, Paperback. From the cover: “Death in England provides the first ever social history of death from the earliest times to Diana, Princess of Wales. As we discard the twentieth-century taboo about death, this book charts the fascinating story of the way in which our forebears coped with a fundamental aspect of their daily lives. 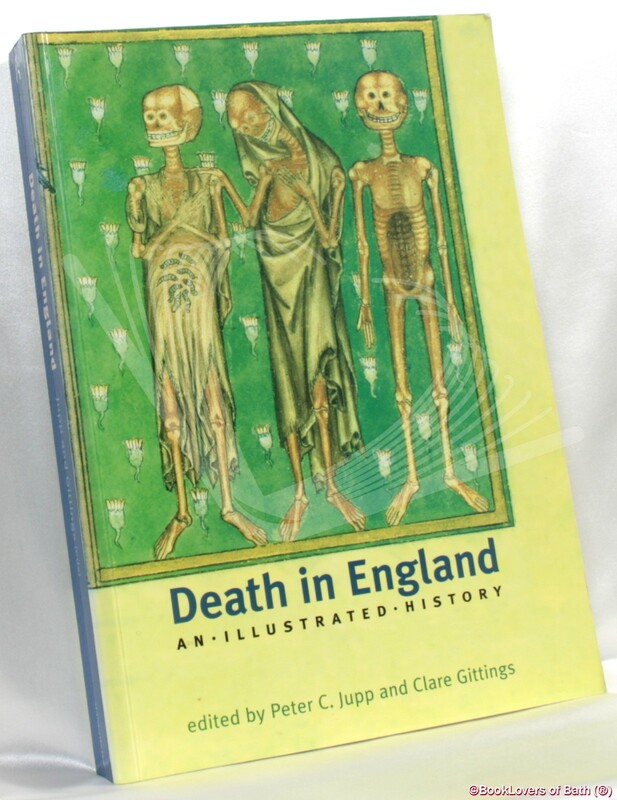 The book reveals how attitudes, practices and beliefs about death have undergone constant change: how, why and at what ages people died; plagues and violence; wills and deathbeds; funerals and memorials; beliefs and bereavement, This wide-ranging analysis of death in England is impressively illustrated throughout, with the diversity of the illustrations reflecting the breadth of issues and periods covered. The contributors are all specialists in their own fields, drawn particularly from archaeology, history and sociology. The ten chapters cover: earliest times to the Bronze Age; the Iron and Roman Ages; the Early Middle Ages; from the advent of Purgatory to the Black Death; the Later Middle Ages and the Reformation; from Elizabeth I to the Civil War; the ‘Age of Decency’; the Enlightenment; the Victorian era; and the twentieth century. Size: Trade Paperback (9¼" x 6¾"). [XIV] 282 pages.